You know those photos from your childhood that just really, truly show who you really truly are? That's what the photo above of me, taken when I was around 5 years old, exemplifies. I really do believe that the pictures of us from our youth depict what we grow into and what we end up loving as adults. 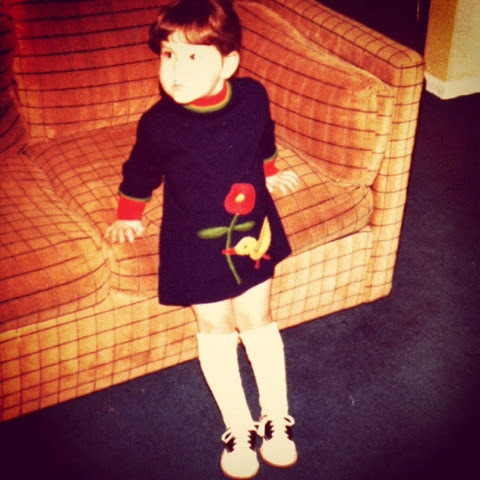 Even if I didn't know who any designers were in the early 80s, my love of fashion and different genres put together was already more than apparent. And, honestly? I wish I still had that dress.